Review on "All Our Yesterdays"
Comments: We just received Blackmore's Night's new CD "All Our Yesterdays". If you are familiar with Blackmore's Night, it is headed up by Candace and Ritchie Blackmore. Richie has played in some pretty famous rock groups like Deep Purple prior to starting Blackmore's Night in the early 90s. You might hear Candace on Highlander Radio, she was kind enough to record a few promos for us a few years back. We saw them a few years ago at Berkley, great show and people! Write about All Our Yesterdays! 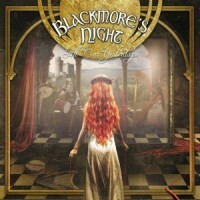 Want to write a review about Blackmore's Night's All Our Yesterdays album? Post your comments in this box to be displayed in our community forums and in our album database! Please make sure you are logged in before proceeding. Please login to write your comments about All Our Yesterdays.